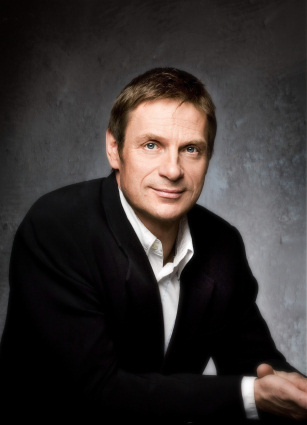 The interview with Simon Keenlyside is due to take place in the depths of the ROH. As the rehearsal for the most recent run of Don Carlo has just finished, I wait with a Royal Opera press officer outside Keenlyside’s dressing room. Semyon Bychkov, towel-draped and glistening, passes engrossed in conversation with Jonas Kaufman, the Don Carlo of this production. Keenlyside takes the role of Rodrigo, Marquis of Posa. When the time comes for the interview itself, Keenlyside is more than welcoming (a welcome that even extends to proffered – and accepted – food). In between mouthfuls, somehow we manage to talk for over half an hour about singing, zoology, Lieder, German Romantic poetry, opera in general and, of course, Verdi’s Don Carlo. I mention that Keenlyside is one of the UK’s most popular singers. I remember reading a while ago that he studied zoology at Cambridge before moving on to music at the Royal Northern College. Why the switch? “It wasn’t a switch. Unless I was David Attenborough I wouldn’t have any more opportunity to see wildlife than I have had in my life. I have been many times in San Francisco (you’ve got the Sierra Nevada there, amazing wildlife); you’ve got the Alps just outside Vienna, or Salzburg, in Australia you’ve got the Barrier Reef and the wonderful wildnernesses out there. I’ve seen so many wonders and I intend to continue in that vein. I used to make time at the end of each job and stay out there and explore and have an adventure but with a young family now it is a bit harder … so there wasn’t a switch. Someone said to me the other day, ‘it must be nice for you Simon to go to Wales – home for me is Wales – and recharge your batteries’ but that for me misses the point. Countryside for me is not recharging batteries, it’s a way of living, a way of thinking, a way of wanting to be. I go there as often as I can because those are the values I love most. It is being of and in Nature. I grew up knowing what the trees and the birds and the insects were. I love noting when the swifts come, when the sparrows leave, when the martins come, when are the fritillaries going to come up. That’s what fires me up. And the human condition is examined in the German song repertoire largely through a rural world. Most of the analogies and the metaphors and the similes go through Nature. They are not always about Nature, that would be dull to sing about Nature the whole time (a bit like the Sound of Music) but it is applied through that. I find that the art form, the song repertoire, is old-fashioned, and that suits me well”. Poets such as Goethe and Heine have this communion with Nature and I suggest he is speaking as if there is this communion with our souls. “Yes, it does. It resonates really with my own life.” Could you extend that to how you resonate on a general level with music?. “To me music is just a reflection of life. I don’t feel coy about defining what music is. Music– what is the point of it, if it is not in some way blossoming, reflecting the human condition. Certainly when it comes to words, and my life is half about words. The music is of course sometimes a separate but certainly a parallel dialogue with those words. So everything I do is in some way some splintered fragment reflecting normal, everyday, common human existence, whether it be love, loss, money, failure, revenge, everything. I haven’t come across anything that doesn’t reflect my life”. I suggest that elasticity is certainly needed in Verdi. “I think in any music. You’re in trouble if you lose the flexibility in your voice”. Keenlyside is taking the part of Rodrigo in Don Carlos (and has already recorded “Per me giunto” on the Tales of Opera album). He previously sang Rodrigo at the Royal Opera against Villazón’s Carlo (Marina Poplovskaya was again Elisabetta) – to which Keenlyside adds, “I sang it in Vienna twice, in Munich, with the Cleveland Orchestra, in Madrid and here”. How would you describe the character of Rodrigo? “Its interesting because it has been focused by the fact that it is heightened by the fact you have a producer, Nick Hytner, who comes from the theatre. Not only comes from the theatre, but I happen to have seen his production before we did this, the year before, with Derek Jacobi in it. Fantastic as well. Just sticking with my role, in the Schiller play, Rodrigo is a firebrand, he is an out-and-out idealist, uncompromising. Verdi’s take on the role is slightly different. I do try to bring what Nick wants out of that, which is much closer to the Schiller. He himself is so uncompromising. Verdi’s music is so noble for Posa and in a sense you have to fight against that because I don’t find that in the Schiller play at all. So the great death scene, the famous aria, I don’t know how one can get around that, it’s different. But you do have the possibility to set the character up earlier, fortunately, with the fantastic duet with Philip, which is more in keeping with the Schiller, to show that you are a hot-head and you are an idealist. You only have that duet to show it, I believe”. I refer also to the freedom duet with Carlo and its poignant use as a remembrance motif later in the opera. “You make me think why I don’t feel so much – you’re quite right I have the duet with Carlo to set up this idealist. I feel that my job in that duet is to focus attention on Carlo. You come in, Carlo is losing his nerve, he’s wobbling. I think the interesting journey is Carlo and my job is to point that out in that duet. My job is to keep driving at him, and that great anthem does, for a while, bolster him up, but the recitative beforehand is sharply focused on him. I don’t feel it is so much about the character of Rodrigo, except for the determination to get his friend to get a grip, to pull himself together and follow the agreement that we’ve made for a freer world”. I point out his use of the word ‘journey’ and that Don Carlo is a journey of several routes as it exists in several versions (and in two languages). What is Keenlyside’s take on that? “I can’t answer that question fully as I’ve never done the French version. Many people I respect deeply say that I’d probably enjoy that even more but I’m not going to do it because life is too short. If I were to commit my life solely to the pursuit of music, well maybe I could, but I’ve got a wife and a young family and that impinges on those sorts of decisions. I like this slightly longer version [Don Carlo: Modena, 1886] of the Italian very much if you’ve got a tenor strong enough to do it, and honestly the audience are in for a fabulous treat with Jonas because – we know him from Tosca, and we know his reputation, but in this piece he is without compare. He is absolutely fantastic in it. He has elasticity, he has ample volume, he has the character and I’m really looking forward to watching the audience have the privilege of hearing him. A strong way of putting it, but its true.” I point out that Kaufman has also entered the consciousness of the country via his opera albums (which have attained a similar popularity to Keenlyside’s ‘Tales of Opera’). “It is remarkable to have a star who is worth his weight in gold. He’s the real deal. He’s a good actor, he’s a fabulous singer, a good colleague”. Talking about languages, I point out he has done opera in English – Pearl Fishers (Chandos) “I just did that for Peter [Moores]. I’ve known Peter since I was a student and if Peter asked me to jump, for a good reason, I would jump. A wonderful sponsor of our world. Even though I wasn’t in many of those, I’m deeply grateful for the likes of Peter who sponsor us. I like to do some things in English, to be honest. I’d like to do Magic Flute at ENO for example, and I’d like to do a Wozzeck in English there too. I think they would work”. I point out I find it difficult to divorce Wozzeck from the German. “Of course, but I just think it is so powerful as a piece and I would like to have the opportunity to do that in London in English”. I point out that a lot of people still think of Wozzeck as modern music (“crazy, isn’t it?”), and moving on to the music of today I mention the music of Thomas Adès, and The Tempest in particular. “That is a masterpiece. Very dangerous for your voice, and very demanding. You have to be so careful. You could ruin your whole career singing Tom’s music incorrectly”. I suggest it is about writing well. “I’m not sure what that means, you know. I’m sure people in the past when they encountered Mozart’s Magic Flute and the Queen of the Night’s arias just laughed, but I think if it is possible then it is good writing. I’ve done The Tempest and look at the absurd high writing that Ariel has. Cyndia Sieden has done that and other sopranos will come along and do the same. It doesn’t take genius to know genius and I don’t care what Tom is but his work is a masterpiece and I’m not frightened to say it. I remember worrying about this when I asked some of my old teachers who were involved in Britten operas for the first time, and I asked them if they knew if they were masterpieces at the time, and they said ‘yes’.” Talking of Britten, I remark that there are still many Britten operas that aren’t that well known. “That reminds me I was watching a TV programme recently on the Scottish colourists. One of the relatives said of her antecedent that not everything he painted was masterly. Well, I’m not talking about any composer in particular but I don’t see why that should apply just to painting. Take Schubert, some of the songs that he dittied in a pub, a little drinking song, it is not a great masterpiece”. I mention that is true of Verdi as well, some of the early works (which I personally love) and Keenlyside supplements with a cry of “Donizetti”. Of Verdi, I suggest that Don Carlo is not as finished a masterpiece as some (because of the various versions and languages). Keenlyside underlines the fact that he would love to have the time to learn the French one, but won’t. I point out that Domingo did, famously. “Domingo is a giant in many ways but his appetite for learning music, for singing different roles is surely unparalleled in the history of singing. He also has committed his life to music. Even leaving talent out of it I just wouldn’t be prepared to do that amount of work”. Keenlyside’s knowledge of his predecessors is well-known, and documented in his own booklet notes for Tales of Opera. Things were different, then of course, the way they expressed themselves, the rubato they might use. Who would you consider to be your great heros form the past?. “I haven’t got heroes from the past. I’m always learning. For example ten years ago I was in Vienna and one of my colleagues, a soprano from Moldavia gave me a cassette of Nicolae Herlea [a leading Romanian baritone of his generation]. Now nobody knows who he is but it’s a great, great voice, or for example a man who didn’t want to travel too much, Louis Quilico [Canadian baritone] – fantastic, but not hugely known. A great voice. It is interesting to hear a voice closer to the first performances. And modern music for them was Madama Butterfly”. I mention changing ideas on tempo, and Keenleyside chimes in with pitch having changed also. “Brass instruments are louder, stringed instruments are louder. If you look at the theatres, there’s a couple of books that feature quotes by some of these great singers of the fifties and sixties, singers that we now adore and worship as being without peer who went to America, saw the opera houses and thought ‘how can we possibly fill that?’. If you see the size of the opera houses in Italy, when you think that people like Tito Ruffo were singing in those mostly tiny houses, they’d have taken the roof off. So that when Verdi writes seven ps in ‘Era la notte’ (Otello), yes he meant it but he was probably doing that in Pisa or some tiny little place. Its no Liederabend these days and you have to make choices and people will judge you on those choices but self-evidently in a large house you have to project – for example in dynamics. It’s the nature of the attaca on the note, it’s the nature of the quality of the sound. The actual dynamic of the sound may be nothing to do with the score is, it may be actually quite loud, but you’re carrying it in a dolce manner into the hall. That’s perhaps not something an audience has any interest at all. They judge you on what they hear. And there will be times that you’ll want the audience to come, to bring their ears to the stage, and there will be times when you choose to take your sound into the hall. I remember thinking that in Wozzeck, for instance. The Bastille is a house that flatters to deceive, it is a terribly difficult house, probably one of the most difficult. It is one of the most directional, very wide, but when you’re on the stage you think you can be heard everywhere. In Wozzeck I was thinking in terms of shapes and of colours and the shape that I wanted to take into the auditorium of this ungainly and angular character, Wozzeck, dysfunctional, I wanted actually to chuck these armoirs into the auditorium. These square wardrobe shapes. It is not about the beauty of the line. So every house has its own requirements, some are more difficult than others. For a few years we were doing a Mozart series on the Theater an der Wien, a 900-seater. It is beautiful but it is a slightly different dynamic”. I had to ask, of course, about Covent Garden. “Covent Garden is a great, great house. You’ve got to be careful and I think it is all about give and take. It depends on the role, it depends on the set, the conductor (who can kill you if he doesn’t keep the orchestra down), it depends on your age and stage of development, whether you’re ready to take life by the collar and if you have all those things with you it would behoove you to use as large a palette as possible, at times bringing the audience in to the stage and other times flinging sound out. I think nuance is everything”. It must be great to do that here, at the Garden. “It’s my turn now. I suffered many years knowing that I had lots of ideas but I didn’t have the wherewithal to put them out. Others singers have had it much earlier than me. It is partly a combination of my temperament, which is a bit overly shy, so I would not let my voice out, and partly because I was a late developer. But I’m enjoying it now”. Plenty to look forward to then. For now, though Don Carlo is the focus. The review of the first night is available on this site.